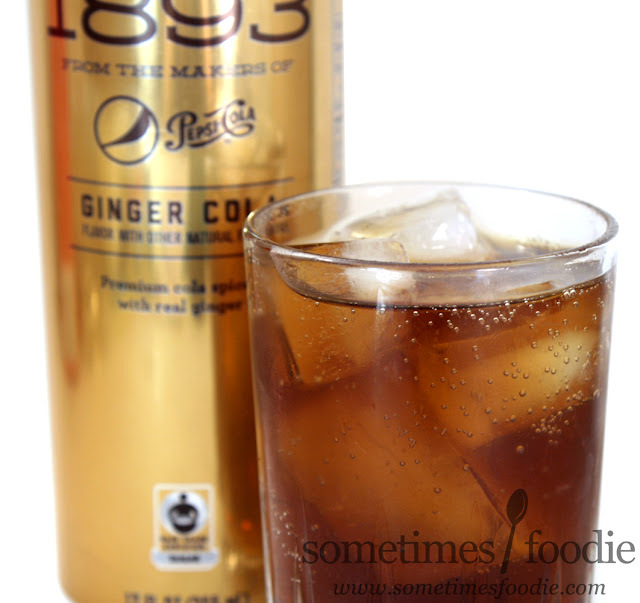 A few days ago I reviewed the 1893 Original soda, and today I have the ginger version. Ginger is a flavor I used to hate. I remember thinking that it tasted like a cleaning product and avoided it whenever possible, but after several years of food blogging I've changed my tune. In fact, I prefer my ginger snacks and sweets to be on the extremely spicy side these days. Will Pepsi's 1893 throwback make the cut? Let's find out! The can is shiny, like a gold bar, which looks really elegant in person, but this was a NIGHTMARE to photograph! Photogenic packaging isn't an issue for the average consumer, but let me tell you, I was cursing in my photo set-up trying to get decent shots. In this heat, with those photo lights, it wasn't pretty. 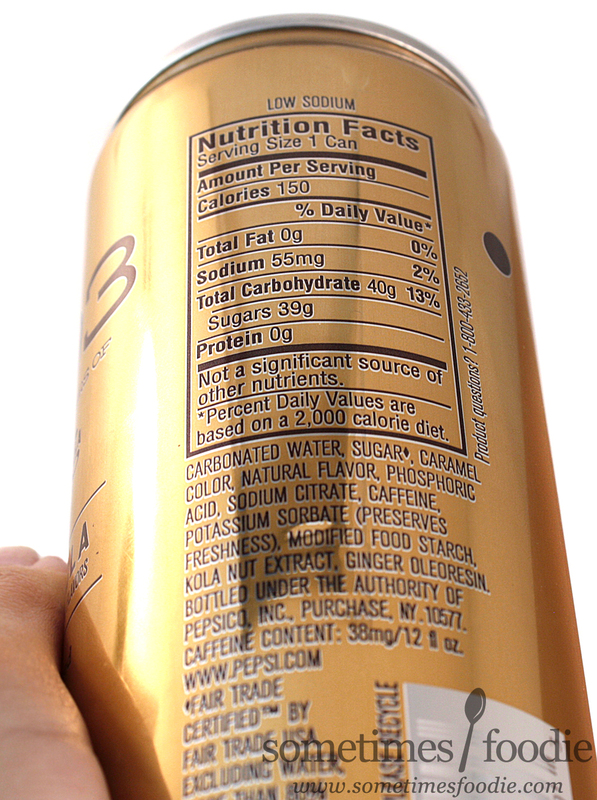 Other than the gold color, the can is practically identical to the Original version I reviewed earlier this week. It's simple and classic, but modern. 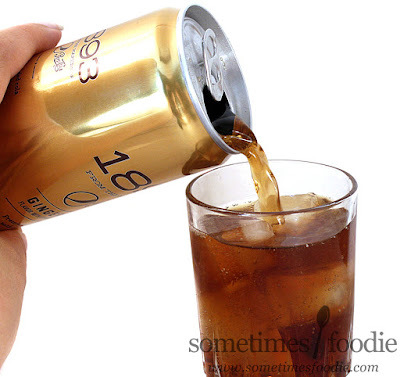 It looks very different from the rest of Pepsi's offerings and I like it quite a bit. I took a sip, and this is like drinking a gingerbread cookie! It's not bold and spicy like other ginger colas (like Fentiman's), this is more of a sweet and vanilla'd spice flavor, similar to ginger baked goods. It has the same refreshing aftertaste as the original cola, which I really like, but in the end, I really didn't care for this drink. 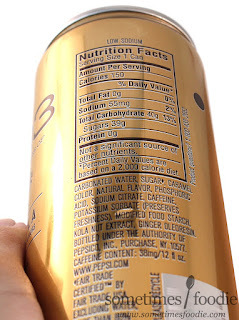 When I buy ginger beverages I want that deliciously spicy burn, and this just doesn't have that. It's pleasant enough, but it just isn't for me.